If you have installed NVIDIA’s latest graphics card drivers 364.47 and 364.51, they may very well be harming your PC. This is according to various reports from sources such as NVIDIA’s official GeForce forums, Reddit users and NeoGAF forums to name a few. 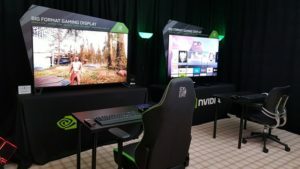 These drivers are causing a wide range of issues, which have not yet been totally resolved It’s so bad that, according to user reports, NVIDIA has officially rolled back the official stable driver release to 362.00. Further confirmation of this can be seen in the GeForce Experience software that now lists driver 362.00 as the last stable release with the 364.51 update listed as the BETA. We recommend that if your run into any of the issues being reported below, that you uninstall your NVIDIA drivers immediately and roll back your driver installation to the 362.00 release. The new drivers were released with the intention of optimising the performance of games like The Division and Need for Speed. However, users have reported that the newly released 364.47 and 364.51 drivers are causing a range of issues. The issues include boot failures, crashes, blue screens, infinite restart loops, freezes, loss of audio, visual corruption, as well as damage to graphics cards and PC hardware. 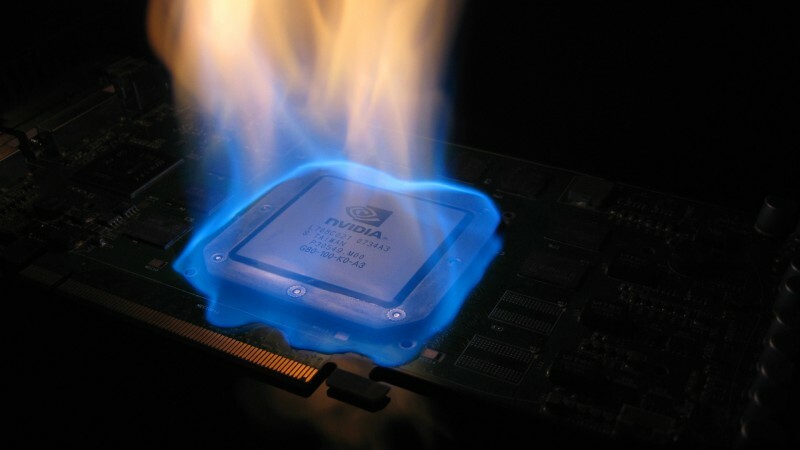 The cause of all the issues is not yet known, but many more reports are still incoming from a variety of users with different model graphics cards. After finding a critical installation issue, the team has replaced yesterday’s driver (364.47) with today’s new driver (364.51). This driver has been submitted to Microsoft for WHQL-approval and we will update the driver package online as soon as we have the certified package. We have reproduced the issue and our engineers continue to debug it. Initial investigation suggests the issue is related to doing an “Express” installation. We suggest those willing to try this driver use a Custom -> Clean Install installation. We have received reports of some users having issues installing today’s Game Ready Driver. Initial investigation suggests the issue is isolated to multiple-monitor configurations. Should you experience issues, you can either disconnect one monitor during the driver installation (and reconnect once completed) or you can uninstall the driver through Windows Safe-Mode and revert to a previous version. Our driver team is actively investigating the issue and we will have more information shortly. The other driver in this equation 364.51 has also received mixed reception from users. 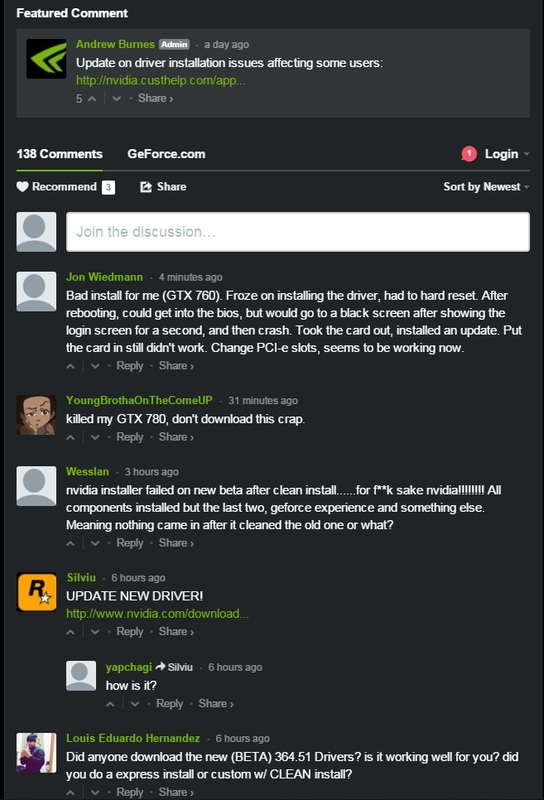 If you have already installed these NVIDIA drivers, we strongly recommend uninstalling them in Safe Mode and rolling back to the last stable driver release, as recommended by NVIDIA themselves. 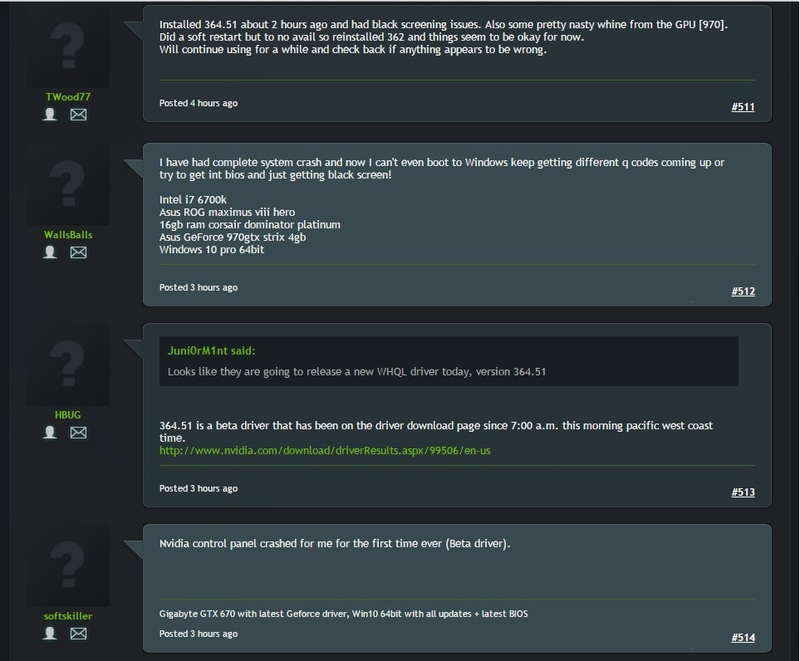 Please tell us in the comments and forum below whether you’re experiencing issues with these NVIDIA drivers. 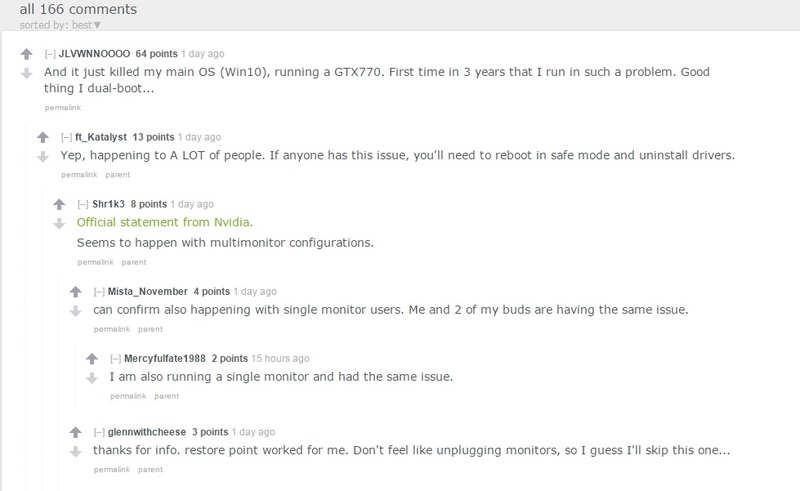 We certainly hope that NVIDIA identifies what’s causing these issues and rectifies them as soon as possible.